Enjoy a lovely local gin, selection of fresh sandwiches with delicious cakes ~ the perfect afternoon! Includes two Biggar Gins with mixers plus afternoon tea selection. 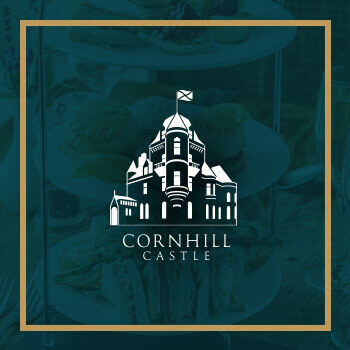 Our cakes are freshly baked at our Castle, and you’ll enjoy a scrumptious selection, together with dainty sandwiches, and a selection of teas and coffees. For a special treat, add a glass of bubbly as you enjoy the quiet seclusion, spectacular countryside views and warming fireside glow.